Last Saturday, March 24, there was a “Reason Rally” in Washington DC. One of the featured speakers was Richard Dawkins. It might have been more appropriate to have this event today. I hope any atheist reader will forgive my little joke and I’m sure they have heard some variant before. Yet, Dawkins is a fool. Consider his remarks at the rally. But even the laughs turned into malaise as the event drew to a close. 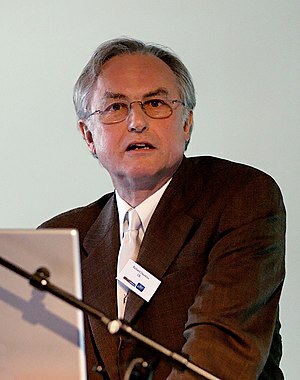 Famed atheist headliner Richard Dawkins labored through a speech that quickly grew bitter. Hawkins challenged his fellow atheists to expose people who still cling to their faith in spite of their doubts. Does he really believe that he will get people to come around to his ideas by mocking their deeply held beliefs? Does he really imagine that treating people with contempt will improve their perceptions of atheists? This is, after all, the man who coined the term “bright” to describe non believers and couldn’t understand why believers might find the term offensive. Because it implies that they are “dim” perhaps? He wasn’t the only obnoxious person at that rally. But as gloomy rain clouds hung low over the Washington Monument, the rally quickly degenerated into open mockery of religion and people of faith. “F— the motherf—-, f— the mother—- pope,” sang Musician Tim Minchin as he played profane songs on the piano for a laughing and cheering crowd. Few religions remained unscathed while cruel spokesmen of reason roundly ridiculed Mormons, Buddhists, Christians, and Muslims. As the event continued, it became clear that the leaders of the movement were not clamoring for equality, but rather superiority. I can tell they are on the side of reason by their calm and rational discussion. Actually, they sound like intolerant bigots. I suppose if their kind ever got into power, they would start building the coliseums to feed the Christians to the lions again. I don’t believe that the attendants at this “Rally for Reason” really represent the majority of people who happen not to believe in the Deity. Rather, this is a subset of people who relish controversy for its own sake and who enjoy offending as many of their fellows as possible, rather like the Atheist equivalent of the Westboro Baptist Church.